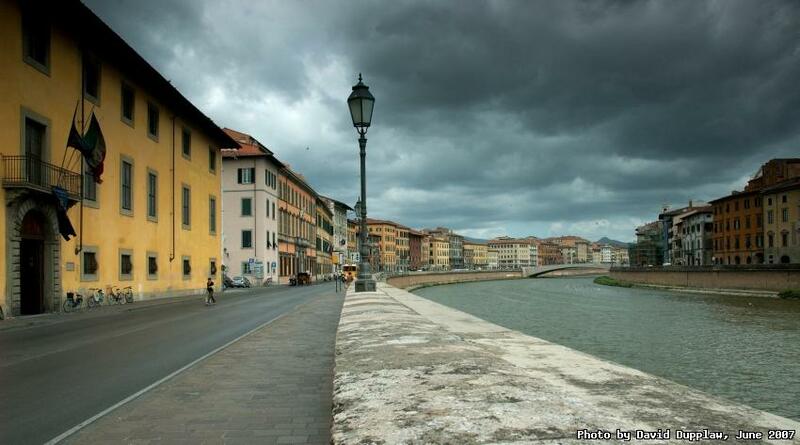 Looking up the River Arno towards the Ponte Solferino in Pisa, Italy. The Arno is the river that flows through Florence and under the famous Ponte Vecchio bridge there. It flows down to Pisa and out into the Mediterranean.